New comers welcome! 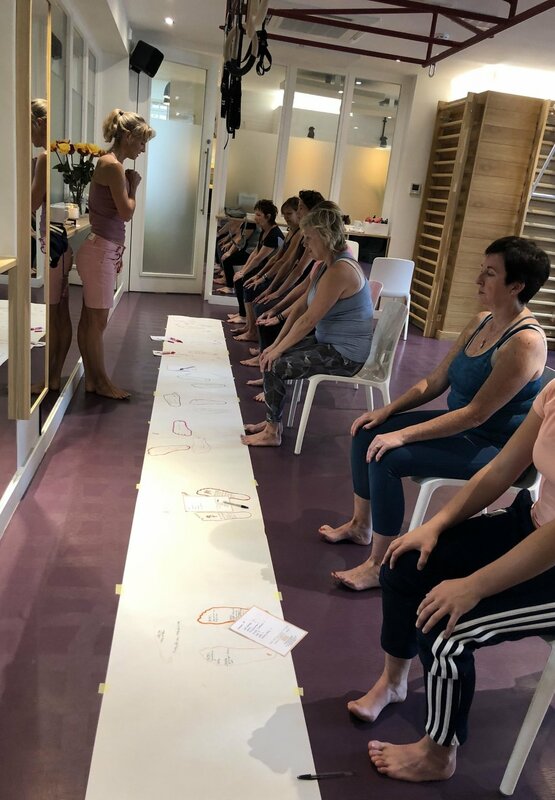 Maintain the motivation of the retreat, reconnect with the group and receive ongoing support with our monthly workshops at SF Studios. When we feel we are 'off balance', we are naturally motivated to restore a position of balance. Do we need to take one step back? When was the last time that you felt your life was ‘in balance’ – How did that feel? How did that look? This workshop will explore the powerful connection between body & mind: when they are aligned and balanced. Working creatively, we will gain an understanding of how a stable mind, can stimulate, and be significant in, establishing a balanced body. With this approach, we hope to gain a greater engagement with day to day life! Working with what you have now – not with what you had yesterday or even a moment ago - recognising the law of impermanence. Change is inevitable and occurs constantly all around us. Do we fight and resist change ? Do we fear change ? Do we embrace change? How do you feel about change – mentally, emotionally and physically? Keeping a state of equanimity and appreciation for change, can open us to the choices we have. This workshop will look at ways to accept and understand changes within our bodies. We will appreciate that 'this moment' is the only place, where we can truly live.